Austan Goolsbee told attendees of the New York Times Dealbook conference he's a little worried Tea Party members may try to delay the approval of Janet Yellen as next Federal Reserve chair. Austan Goolsbee, former top economic adviser to President Obama, thinks there's a tiny chance that members of Tea Party could figure out a way to delay Janet Yellen's confirmation to lead the Federal Reserve. But if they're successful, that could be a big problem for the financial markets. Lawmakers will have the opportunity to question Yellen Thursday when she faces the Senate Banking Committee. Goolsbee expects lawmakers will mostly ask her about her views on financial regulation and monetary policy. But he worries what might happen if someone asks for her thoughts on using the debt ceiling as leverage in budget debates. He said if Yellen simply answers the question by saying that threatening default is dangerous -- an opinion virtually every economist would agree with -- then members of the Tea Party could use that as ammunition to try to stop or delay her confirmation. 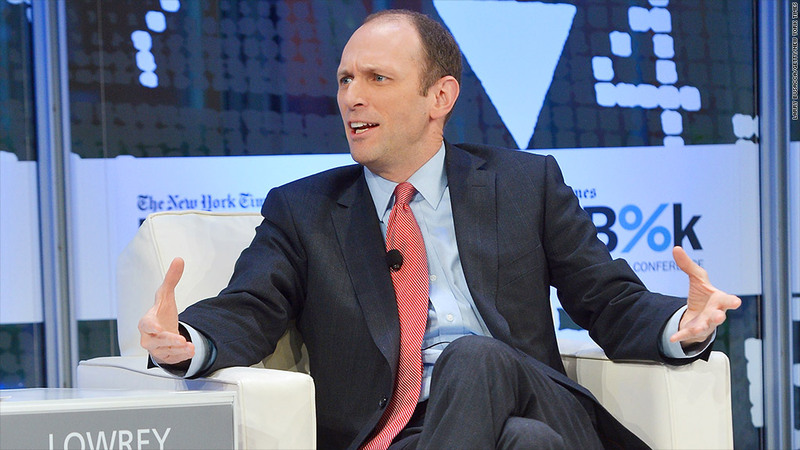 "People that don't like the Fed to begin with tend to be correlated with wanting to use the debt ceiling," said Goolsbee at The New York Times Dealbook conference on Tuesday. "The worst case scenario would be Rand Paul leading a group of Tea Party people who object strenuously to something she says in the hearing." Paul has already warned that he intends to put a hold on the confirmation unless his legislation to have audits of the Fed is also brought to a vote. While the 55 Senate Democrats and Independents would normally turn to moderate Republicans to reach the 60-vote threshold to break a possible filibuster, Goolsbee said that may not work since some Republicans, including Lindsey Graham, have threatened to hold up all White House nominations until Congress hears from survivors of the Benghazi attack last year. If lawmakers are able to delay Yellen's confirmation through the end of January, which is when current chairman Ben Bernanke's term ends, Goolsbee said that things could get "deeply complicated." He noted that the Fed is expected to begin scaling back, or tapering, its bond buying program either in December or early next year. But if the Fed doesn't taper while Bernanke is still chairman, then who would be in charge of making such a decision if nobody is confirmed to succeed Bernanke by the time he's leaving the Fed? 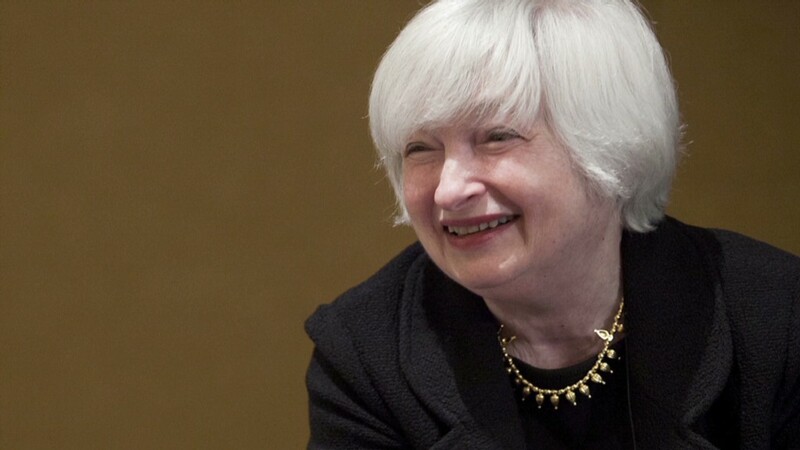 "Does Bernanke hover around, or does he leave and Yellen becomes acting head but not the real head? If she becomes acting head, then do her opponents say, 'Well, why do we need to confirm her if she gets to do the job anyway?'" Goolsbee asked. "All of that would add a lot of uncertainty. People would be really nervous over whether the Fed can carry out the taper or any other effective monetary policy." And if the Fed chair position remains unconfirmed by the time the budget debates heat up again, the situation gets even uglier. "People are going to be thinking what happens if lawmakers get in a big fight about the debt ceiling again or if there is another government shutdown," said Goolsbee. "What if there was something where you needed the Fed to take some extraordinary action? Are they going to be allowed to take action?" Goolsbee summed things up by saying that the lack of clear leadership at the Fed would be a "market disruptive event." Fortunately, Goolsbee thinks it is highly unlikely that this nightmare scenario will unfold. But he refused to rule it out entirely. Other experts were less concerned though. Columbia Business School Dean Glenn Hubbard said he doubts Yellen would fall into a trap on the debt ceiling question. "The correct answers in hearings are usually something like, 'Thank you, senator, for that question,' or "I look forward to working with your staff, senator, on that question,'" said Hubbard, who spoke alongside Goolsbee at the Dealbook conference. "I think she'll be in that camp." Hubbard was a former economic adviser to both President George W. Bush as well as the Mitt Romney presidential campaign. And analysts at Eurasia Group said they expect Yellen will be confirmed before the end of the year even though she will "face aggressive questioning and there will plenty of noise during the confirmation process." The analysts added that Yellen should have no problem getting the 60 votes needed to break a filibuster and that she likely will receive between 65 and 75 votes. The final confirmation vote is not in question since it would only require 51 votes, and there are 53 Democrats and 2 Independents in the Senate who are expected to vote for Yellen.